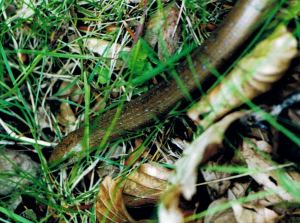 Observation - Male slow-worm with blue spots - UK and Ireland. Description: Adult male found in leaf litter/grass in woodland. Adult male found in leaf litter/grass in woodland.